Are you about to self-publish a killer novel or a fantastic nonfiction project? Make sure your product is in the best shape possible by hiring a professional book editor. A book editor can help you set your project apart from the pack. One simple investment can bring you career-changing ROI. The publishing market is changing every day, and self-publishing is already a viable way to get your book into the hands of readers and make a living. If you’ve spent months—or even years—crafting a book, you’re probably chomping at the bit to get it out into the world. The assistance of a professional book editor or book developer can be the key ingredient that separates a good book from a great one. You’ve worked so hard on this huge achievement—don’t fall short of the finish line by failing to invest in a professional book editor. What kind of value can a book editor add to your product? First, a professional editor sees what you do not. Take it from me—I am a professional editor, and I make mistakes in my own manuscripts that I’d never miss in someone else’s! A skilled copyeditor has a sharp eye for detail, and a comprehensive knowledge of different style and usage guides that he or she can tailor specifically to your book. A copyeditor will ensure your book is free of grammatical problems and typographical errors so that your reader can focus on your message, not your mistakes. 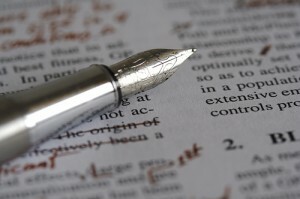 A professional proofread service provides the final polish on your manuscript. Likewise, a book editor will bring an added level of expertise to your nonfiction project. A professional book editor can fact-check your book or paper and ensure your dissertation conforms to academic style guidelines. A professional editor can perfect your manuscript and free you to concentrate on what matters most to you—your writing! A professional editor will approach your manuscript with a “fresh set of eyes.” Most of us spend so much time with our book projects that we know them a little too well. A book editor will analyze your manuscript from soup to nuts, suggesting changes in structure, flow, and organization. Any book, whether it’s a thrilling mystery, a legacy project you’re assembling for a family member, or an inspiring sales manifesto, will benefit from an expert, objective opinion on its strengths and areas that can use improvement. Let’s say you’ve made the big decision to self-publish rather than seeking a traditional publisher. Congratulations—you’re a pioneer! But even the greatest writers are rarely great editors of their own work. You want your book to stand out in a crowded market, and nothing turns buyers off more than poorly-edited, cobbled-together books riddled with mistakes and plagued by an unappealing presentation. Click here to see how we can work with you to put together a full book package, from a professionally edited manuscript to a well-designed cover. Our book editors and book developers are some of the best in the business, and we want to see you succeed. You’ve invested your time and energy into writing a great book. Now take the final, crucial step and invest in a professional book editor. We want your self-published project to be one you’ll be proud of for years to come. One Comment on "Hiring a Professional Book Editor Is Crucial to Your Self-Publishing Success"
Nice article! I had fun reading some good idea you have shared. Thanks!